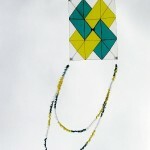 Kitebuilder.com recently presented a very new and encouraging variation on the traditional kite building workshop. Bringing together over 80 registrants from around the world into a single on-line forum, Arnold Stellema created a true Virtual Classroom. 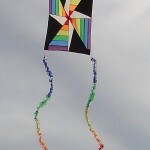 Using which, we built a Della Porta kite. Steve Ferrel, the owner/operator of Kite Studio and Kitebuilder.com’s Online Forums has provided a unique setting which allowed the students to interact, almost in real time. 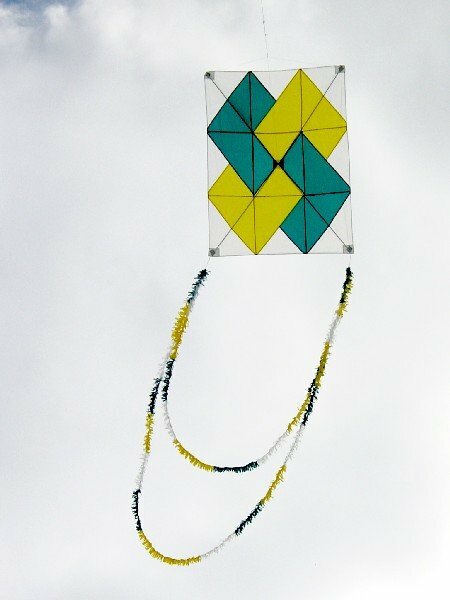 This ‘interaction’, not only included questions of the more normal nature like, ‘Why do I need a piece of lumber?’, but many of the registrants were able to post pictures of their own kites progression throughout the 5 week project. The students of the class included a very surprising range of talents. Several of the registrants were, quite literally, first time kite builders, while others were on the more experienced side. I myself have built several successful kites, but only a few. 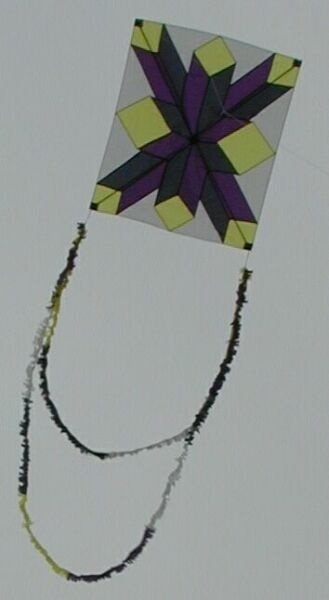 Yet, everyone who actively participated in the class built, well, awesome kites. To begin, a list of materials and class requirements was posted several weeks in advance. A week before the actual start date, Kitenerd (Arnold’s online handle) asked the usual initial questions. Well, being that this is on-line, many things happened. 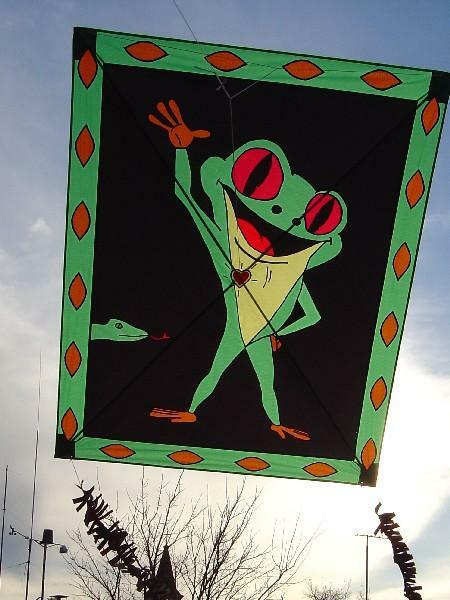 Including, and most importantly, a history of the Della Porta kite was brought forth. Basically it was right then which first signaled that the class would be a success. The 5 week course consisted of one ‘Stage’ per week. 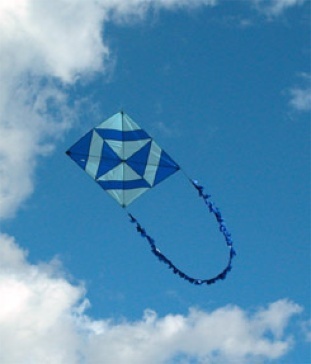 Each stage itself would have 1 – 4 hours of actual kite building labor, depending on the builders skill. 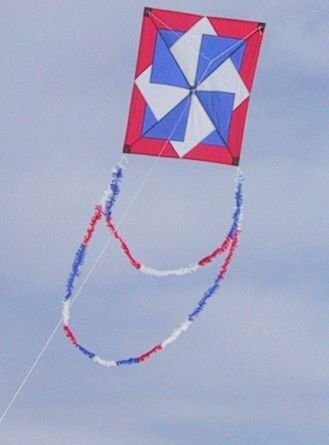 Each stage was posted Friday evening which gave the builder ample time to customize and trouble shoot their kites as they built them. The posting of each stage included written step-by-step instructions, quality diagrams to demonstrate particular details, and more importantly, experienced suggestions on how to achieve a particular goal. 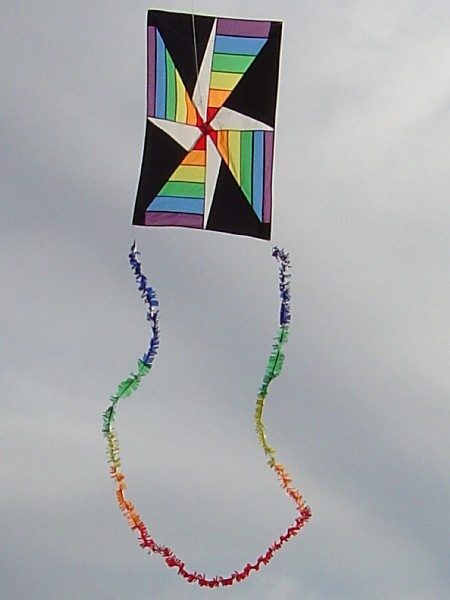 For example, stage 3 included a great way to achieve mitered corners when hemming, while stage 1 presented 12 options to use as the ‘graphic’ on the kite. Many of which, by the way, were in fact used be various registrants. 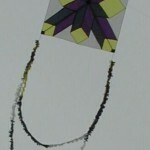 The sail itself was to be built using a quilting method. Yeah, well, turns out he’s right. 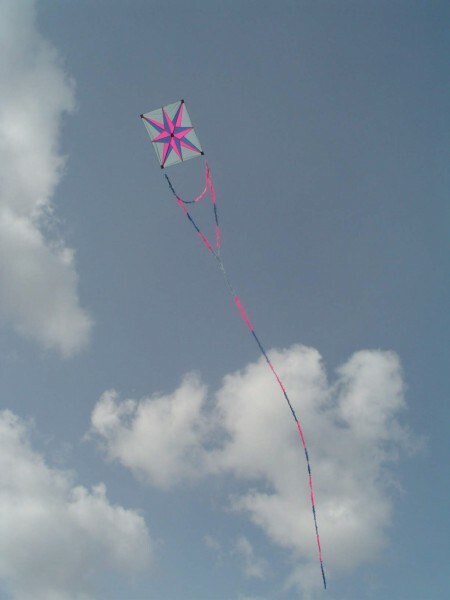 Following the posting of the current stages instructions, students would actively participate by asking their own questions, presenting even more alternate methods, or posting pictures of a kite’s current progress. Exchanging of ideas and opinions was always very free, open, and encouraged. And this is one of the special highlights this class offered. The ability to allow the people to talk, share, learn, and grow from the experience in an entirely positive manner. 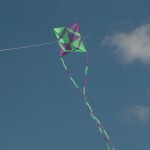 The community of builders and crafts-people who gathered at Kitebuilder.com and participated in this event are, I’m sure, all very satisfied in with their experience. I know I am. 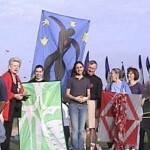 Now, one of the more noticeable advantages of this format is that the on-line project will be remaining on-line. 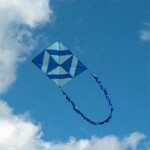 What that means is you, yourself, right now can go there and learn to build your own Della Porta kite. 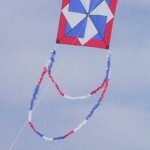 The class itself is openly available to all Kitebuilder.com members. Which, is free and gives you access to a vast resource of kit building information, help, assistance, and friends. 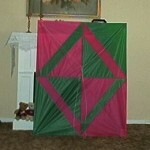 There are also plans to present more on-line kite building projects. More information will be available as it comes. Final impressions for me can be stated quite simply. This class was a great success. 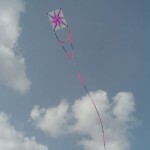 My kite is gorgeous, and flies high. Any and every question I had was answered completely, competently, and with a variety of solutions. Each stages instructions were clear and complete. The graphics were always spot on. And the variety of choice presented at the onset was a real encouragement. My skill, and confidence, are quite a bitter better now for this class. 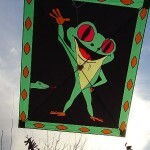 I’m glad to have been a part, and look eagerly forward to Kitebuilder.com’s next online Kite Project. 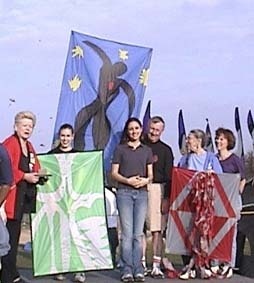 Addendum: March 29 I am please to announce that Nancy Holmes Allen and her family were able to win the Family Trophy at the Smithsonian fly on March 27, 2004. 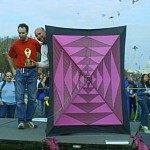 Also, Scott E. Spencer won 1st Place in the Flat category at the same Smithsonian event with his Della Porta. 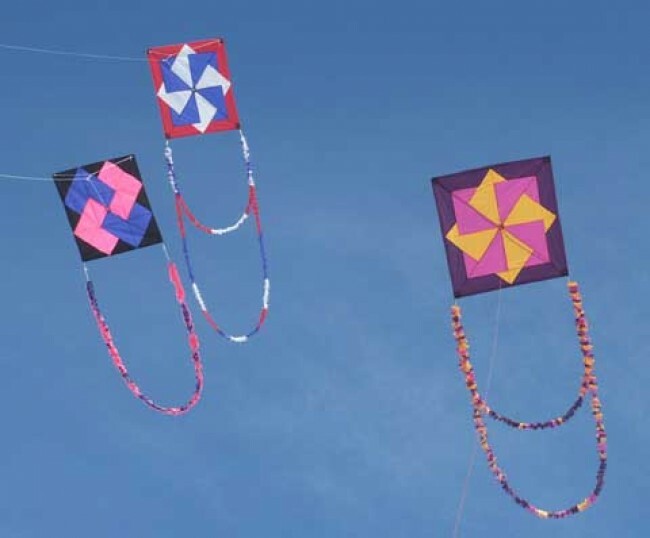 Congratulations to them and their beautiful kites, well done. 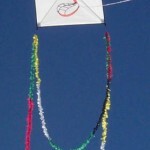 This entry was posted in 2004, General Topics, Issue 35 (Mar/Apr), Kite Making, KL Archive and tagged class, kite making.